Jonathan Hanson of Outside magazine says, "Not so long ago, a new pair of boots came with a five-page care-and-feeding manual. You had the break-in period, the sock strategy, yadda yadda. My, how we've changed." My, how have we. After applying half a jar of Sno-Seal, those old leather babies felt like they weighed roughly 25 pounds apiece. Manufacturers thought hiking wasn't meant for those who couldn't stoically endure pain, evidently. The boots did what they were supposed to do, though - supported your ankles, kept your feet dry and allowed you to drop large logs on your toes without noticing. These days, manufacturers are still concerning themselves with durability and performance, but comfort is also a primary concern. As Hanson says, "Manufacturers have become so adept at combining supportive and protective insoles and outsoles with instantly comfortable and weatherproof uppers that...it's easy to forget you even have them on." And he's right. Take a look at a few hiking boot reviews and see if you don't agree. 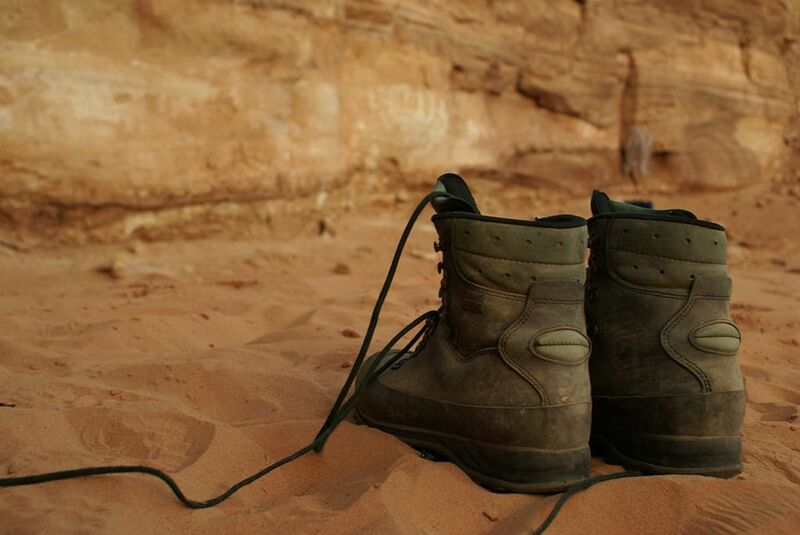 Men's Hiking Boot reviews by users at Outdoor Review. Women's Hiking Boot reviews by users at Outdoor Review - not a lot of user reviews, but specs for a whole lotta boots. After reading even a few reviews, you may be feeling a little overwhelmed. Expert Andy Hiltz tells you how to shop for a boot (find the right store and recognize a knowledgeable salesperson) and gives all the info you need to settle on the perfect boot for you (ever heard of the "Paper Doll Cutout"?). A lot of gems here.Happy Trails! Should You Take Airpocket's Travel Organizer on Your Next Trip?